Once again Noida-based startup Ringing Bell is in news again. Earlier, the company was in new for selling the cheapest smartphone in the world with the name Freedom 251. It is been said that co-founder and Managing Director Mohit Goel, who was the brain behind the Rs 251 smartphone has quit. Not only MD Mohit Goel, even his wife, Dharna Goel, who is the CEO of the company ringing bell has also given her resignation. But the company is not been shutting shop. Company’s spokesperson in his statement has said that earlier, at Ringing Bells we have cleared our business objectives that we have shared and we are sticking to it. Further, he has said that now one of the founder director Anmol Goel, is looking after the affairs of the company and he will take the company forward to achieve all the goals that have already been set. According to the source, meanwhile, Company’s President consulting Ashok Chadha will continue. According to the companies claims, till now they have delivered around 70,000 units of the mobile phone. 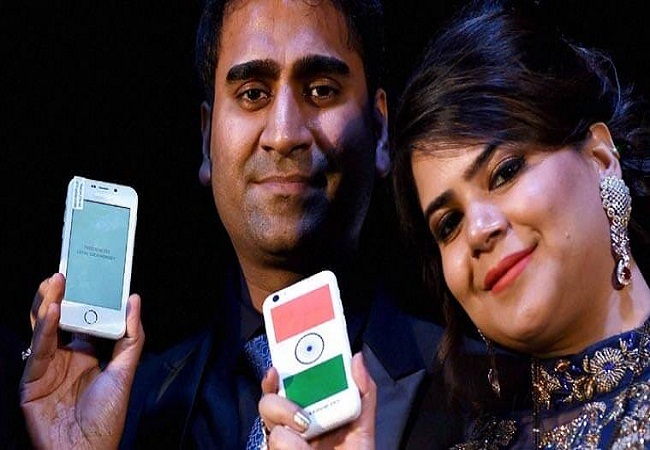 It is been said that the delivery of Freedom 251 will be made by the retailers. Whereas, retailers will get the products in turn from distributors. Spokesperson of the company has said that we are still getting interested in our product. Our target is to fulfill the wish of low-income people who can own a smartphone. In February this year, the company had launched the Freedom 251 phone. The company has shut their office for over two weeks at sector 62 office in Noida. Even the dealers have said that Goels owe them lakhs of money. Recently, the company in the release has said that Mohit Goel’s brother Anmol is the in charge of Ringing Bell. They have said that Anmol Goel will take care of its liabilities. It is been said that meanwhile, Mohit Goel has formed a new company called MDM Electronics. The company is said to be in Kailash Colony with a share capital of Rs 25 lakh. Earlier, in the month of March, the company was under the investigation by Directorate of Enforcement. The investigation was taken place by ED for contraventions of provisions of Foreign Exchange Management Act.